Oil production in North Dakota’s Bakken and Three Forks Formations is at record highs and growing, but is it sustainable at current levels? For how long? “Our growth has been extremely rapid. Technology and price have come together with the geology,” said Ron Ness, president of the North Dakota Petroleum Council, a 60-year-old organization that promotes and enhances the discovery, development, production, transportation, refining, conservation and marketing of oil and gas in North Dakota, South Dakota and the Rocky Mountain region. Production had a dramatic upswing between 2009 and 2010, when it jumped to about 113 million barrels from 79 million barrels a year, the Department of Mineral Resources’ (DMR) annual oil production data showed. Subsequently, production in 2010 hit about 113 million barrels and in 2011, about 153 million barrels. At the end of this June, with 7,350 wells producing and another 8,195 capable of producing, about 109 barrels of oil had been extracted, according to the DMR’s June Monthly Production Report. Today, companies are producing about 660,000 barrels per day, and about 190 rigs are on site, drilling new wells. A little over 2,000 wells will be drilled this year, Ness estimated, with about 35,000 total more to go. Oil production is expected to increase to about a million barrels a day, said Lynn Helms, director of North Dakota’s Mineral Resources Department. The current level of oil production easily is sustainable for one to two decades, Helms said, and even the anticipated 1-million-barrel-per-day quantity could be maintained for more than a decade. Walt Kordziel agreed that the Roughrider State’s oil production level should continue for at least 20 years. He is the business development manager in the Rocky Mountain region for Schlumberger, a Houston headquartered supplier of technology, integrated project management and information solutions to customers working in the oil and gas industry. “Secondary recovery methods will be looked at down the road,” he added. Production is sustainable, in part, because the resource, the Bakken and Three Forks Formation, is “so enormous and widespread,” Helms said. The segments of the two formations in North Dakota alone together span 16,000 square miles and are about the size of West Virginia. (Taking into account the portions in Saskatchewan, Manitoba and Montana, together they’re the size of South Carolina.) The Bakken portion itself is estimated to contain 300 billion barrels of oil, according to the North Dakota Petroleum Council. “There are no prior oil fields in the U.S. of that size,” Helms added. Today’s hydraulic fracturing technology, called fracking for short, is what has made it possible to extract and to continue to extract such great volumes of oil from the Bakken and Three Forks. Fracking of a well one time should produce oil for 30-plus years, Ness said. Fracking is essential because the rock in these unconventional shale formations lacks permeability, Ness said. With fracking, once an oil well is constructed, fluids (typically water and chemicals) are injected under high pressure into the formation to first crack the rock, Kordziel explained. Then sand or ceramic bits are added to the solution to ultimately keep that newly created network of fractures or pathways open to allow for oil flow through it. Fracking, which costs about $25,000 per job, is completed in stages, anywhere from 15 to 50, and over two to seven days’ time. The final step is removing the water used in the process. “You’re taking a one-lane highway and making it into a 10-lane interstate,” he said. Conventional wells from decades ago tended to be vertical only and about 10 to 30 feet deep. Today’s wells in the Bakken and Three Forks, however, both vertical and horizontal, extend two miles in each direction and get fracked entirely throughout. Whereas the concept of hydraulic fracking has been around since the 1940s, newer methods involve accessing more of the oil-producing rock, and the technology has advanced to where the process provides consistent stimulation throughout the entire two miles. For example, Kordziel said, different, more efficient fracking fluids are being used, modeling software has improved and various drilling techniques have been developed, allowing operators to more precisely place the drill. Despite the current and foreseeable flow of oil in North Dakota, potential threats to maintaining a high production rate long term exist. The top three are various proposed federal rules and regulations, Helms said. One is the Environmental Protection Agency’s proposed guidelines for using diesel fuel in oil and gas hydraulic fracturing. Their being enacted could as much as quadruple the time it takes to obtain a permit, Helms said. Another is the Bureau of Land Management’s proposed fracking regulations, which, again, could double the length of the permitting process. Finally, the proposed changes to taxation of the oil and gas industry that the federal government has in its budget could decrease, by about 25 percent or more, the amount of capital independent oil companies have to reinvest in their projects. In addition, for oil exploration, development and production in the Bakken and Three Forks to continue, operations must remain economically viable. 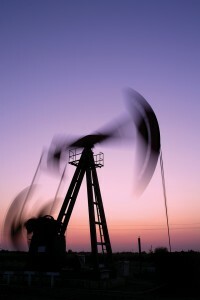 Sustainable rates of return are possible with the price of oil as low as $50 per barrel. In the four big counties—McKenzie, Mountrail, Dunn and Williams—where most of the drilling is occurring, where geologic risk is nil and economic risk is minimal, companies can continue their programs economically even when the oil price drops below $50 a barrel, Helms said. Factors influencing cost and cost itself always are a concern. To lower that oil price threshold that’s needed to make continued production of Bakken oil economic, operators in the area have been making efforts to maximize their efficiency and reduce their costs. This is especially critical, as the cost of a well escalated over the last couple of years to more than $10 million from about $6 million, Helms said. This primarily was due to a shortage of equipment and personnel, primarily rigs, fracking equipment and crews, which have been alleviated somewhat but not entirely. For example, one company is burning flare gas in the place of diesel to power its drilling rig. So far, this reduced its diesel consumption by about 80 percent, Helms said. Others are recycling and reusing their fracking water. Some are transporting their fracking water by pipeline versus truck. Currently, companies are swapping out their single-well pad rigs with multi-well pad rigs, which affords them the ability to drill multiple wells on a single pad. It will drop costs considerably and significantly reduce impact on infrastructure, as rigs won’t have to be trucked from one well to the next. This transition will continue for another year, Helms said. Until complete, the total number of rigs drilling will remain lower than usual as a result (at the end of June, rigs on site were at a peak at 218). “We anticipate a sustained rig count of 200 plus or minus 10 rigs going forward for 20 years,” Helms said. Further, more infrastructure is needed to support oil production, including roads, housing and pipelines, Ness said. While progress has been made in this regard, more is needed. In terms of pipeline, the state already has surpassed its capacity, and excess oil is being transported by rail, which does take it all over the country—to the East Coast, West Coast and the Gulf of Mexico. More pipelines—the safest transportation mode for oil—are needed. Some pipeline-building projects are underway but nothing that will meet demand. For instance, Enbridge, which transports and distributes energy across North America, is constructing a suite of projects with its Bakken Expansion Program that would provide the capacity to move 145,000 barrels of light crude oil per day from North Dakota to various refineries throughout the States and to Cromer, Manitoba, in Canada. In addition, other companies have proposed additional pipeline projects, which are under review. “We probably need a major Bakken pipeline right to one of these top markets like St. James (Louisiana) or the Great Lakes, somewhere where we can reach markets all over the country,” Ness added. While the involved parties continue working to reduce the risks to oil production sustainability, innovators likely will be dreaming up ways to extract more oil from the rock. “The Bakken resource is so big that if you could increase production by only 1 percent, it’s a huge amount of oil,” said Ness. That is amazing! Exciting for all the new business and wealth to owners of mineral acres – sad for how this nice, quiet family community is gone forever.